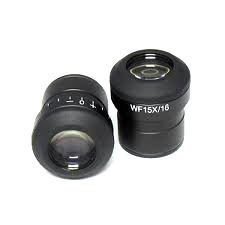 While Western Microscope is committed first to providing excellent microscope service in an effort to help you put off the need for replacing equipment, we still want to be your first stop in your quest for new equipment and accessories. We will do our very best to look after your interest by not trying to offer microscopes with features you don’t need. We want to help you use your precious budget wisely. There is a lot of junk out there. Please take advantage of our many years of experience and visit with us about your needs. There is no reason to make a purchase without knowing that it is the right one for you. We have demonstration models available of the equipment we offer. Some can be shipped to you for your inspection but some must be brought in by our trained technicians. We have the opportunity like anyone else on the World Wide Web to offer for sale hundreds of brands. Our reputation means everything to us, so all you will see on our site are tried and true, reliable equipment with great warrantees and our service backing them up. We never leave it to our customers to deal with warranty problems with the microscope manufacturer. We take care of it so you don’t have to waste your valuable time doing the SERVICE part of our job. Give us a try, you won’t be sorry!